This time last year, there was a buzz on campus leading up to the federal election. Young people across the country ended up voting in record numbers, challenging the prevailing notion about their political apathy. The Canadian election fervour may have faded — replaced with a focus south of the border — but now Ryerson wants students to talk about changing the way we vote. The Ryerson Students’ Union (RSU) is hosting two youth town halls on voting reform, in collaboration with the University of Toronto Students’ Union and the advocacy group Leadnow. They say we’re apathetic: a youth townhall will include roundtable discussions with students about changing the voting system. The event follows Democratic Institutions Minister Maryam Monsef’s visit to campus earlier this month, when she discussed the parliamentary committee overseeing electoral reform and how young people can get involved. Canada currently uses the first-past-the-post system at all levels of government. It’s a winner-takes-all model, where the candidate with the most votes wins the riding. A common complaint of the system is that candidates can win with less than a third of total votes. Victoria Morton, RSU vice-president of education says Canada’s current electoral system isn’t cutting it. “The [voting system] that we have right now doesn’t really inspire engagement as much as it could,” Morton said. While the RSU shares a negative view of first-past-the-post, Morton says the union hasn’t decided on an alternative system to support in its place. “We are taking a stance on the current system. We’re not necessarily taking a stance on what we’ll [support] going forward,” Morton said. Leadnow is running a campaign in favour of proportional representation. Anna Lermer, Toronto field organizer for Leadnow, says the group has two goals: getting support for proportional representation and educating the public about voter reform. “We have a lack of education, generally in Canada, around how our voting system works, how our parliament works,” Lermer said. While the government has not yet announced whether voting reform will ultimately be put to a referendum, Lermer says referendums haven’t succeeded in changing voting systems in the past due to a lack of information. “Unless the education is really clear, and done really well, around the yes or no questions, it’s not going to work,” Lermer said. The RSU and Leadnow have been rolling out material to help break down the different voting systems. Students can visit the VoteBetter website for information on different proportional representation systems, as well as the alternative vote. Two Ryerson students, Vincent Piette and Michal Heuston, also created a video to explain Dual Member Proportional (DMP), one of the voting systems that could be considered by the government. Heuston and Piette are both third-year media production students. Heuston said that getting involved was an easy choice after finding out that the video was going to promote a new electoral system. Heuston is in favour of Canada adopting the DMP system. “I think it’s a system that has a lot of potential to make Canadian politics more diverse, as well as a lot more representative of who Canadians are actually voting for,” Heuston said. 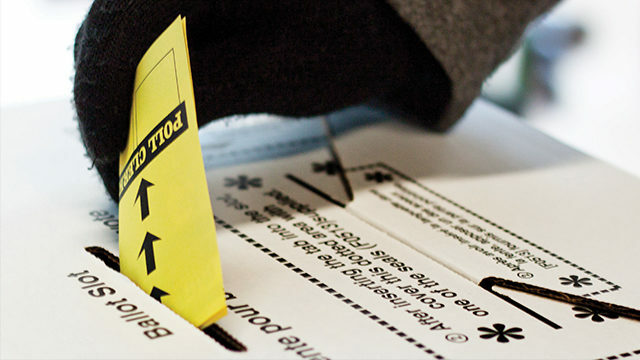 Changing Canada’s voting system isn’t just about checking off a different type of ballot. The results of the 2015 federal election would have been drastically different under another system. This infographic reveals the number of seats each party holds under our current, first-past-the-post system, compared to the number of seats under proportional representation and a preferential system. When it comes to the student vote, Heuston has found that young people are far from apathetic towards politics. “We know that voting is important. A lot of us just aren’t motivated because it doesn’t feel like our votes count,” Heuston said. The first youth town hall will be held on Sept. 29 on the sixth floor the Student Learning Centre, from 1 p.m. to 4 p.m.
For more on voting reform, read Ryersonian reporter David Greenberg’s story on Maryam Monsef’s meeting with the RSU, and look out for more Ryersonian coverage leading up to the second youth townhall on Oct. 4. Avneet is former Managing Digital Editor of the Ryersonian.